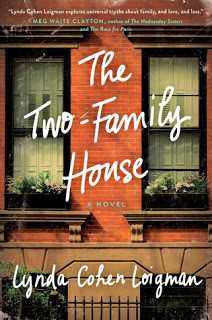 Abe and Mort are brothers who live in a two-family brownstone in Brooklyn with their wives. Abe and Helen live upstairs with their four sons and Mort and Rose live downstairs with their three daughters. Abe and Mort own the family business, Box Brothers, making boxes for companies. We meet them in 1947, while Helen and Rose are struggling to maintain their sanity, spending days at home with their young children. 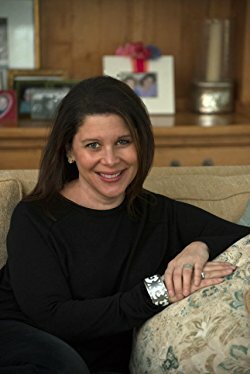 The two are best friends and chat about their struggles raising the children, their marriages, and their responsibilities to their Jewish faith and extended families. You feel like the house is an idyllic setting with cousins living almost like siblings having two sets of parents within reach at any time. But, then you start to see the cracks. Even as the families seem to be intertwined, Rose tends to be a bit more resentful of Helen than Helen realizes. Mort is not the most appreciative husband and has been quite difficult to live with over the years. Helen is maybe a bit too perfect and overbearing. Can Abe really be that happy all the time? One morning over coffee, the two women find out that both of them are pregnant and due at the same time. Even with all their pregnancies, they’ve never been pregnant together. Both women are shocked but hope, for different reasons, that this child will be the answer to their prayers. As a terrible blizzard hits the East Coast, the two women go into labor with their husbands away and make a decision that will fracture the relationship between the two women and their families forever. This novel is the author’s first but doesn’t read as one. The story is character driven with each chapter told from that character’s point of view. In the beginning, we hear from the brothers and their wives as they tell the stories from their perspective. Depending on the character, you will feel the anger, resentment, love, loss, bitterness, and forgiveness seep off the pages. There will be characters you will love and others you will want to hate. As we travel through the years, we get to hear from the children as they grow up and your perspective on the parents begin to change. You almost feel like you are sitting at the dinner table as the stories unfurl in front of you. It’s definitely a page-turner, especially if you like family dramas that take you through the generations. Every decision we make has consequences, good or bad. Reading this novel gives you a voyeuristic view of the ripple effect of one decision and whether telling the truth is worth the repercussions. As the novel ends, after spending twenty-three years with the family, you will be left satisfied, yet feeling the loss of a family you will miss spending time with, even if the ending is a bit too neat and tidy. Lynda Cohen Loigman grew up in Longmeadow, MA. She received a B.A. in English and American Literature from Harvard College and a J.D. from Columbia Law School. She is now a student of the Writing Institute at Sarah Lawrence College, and lives with her husband and two children in New York. She is a failure at enforcing reasonable bedtimes. THE TWO-FAMILY HOUSE is her first novel. Check out her website, HERE.